Select Size PCC0001 Fleece Throw 50" x 60"
Multi use fleece throw is both soft and comfortable. 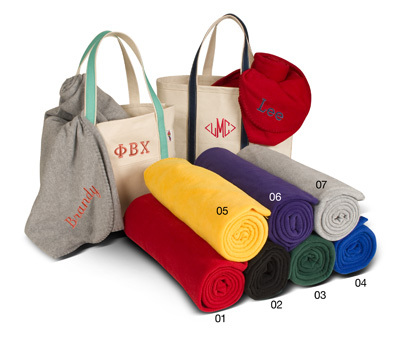 Use as dorm throw, stadium blanket, or that ever handy item stored in your vehicle, boat, or camper. Made from anti-pill polyester.Colors 08 Navy and 09 Light Pink not pictured.